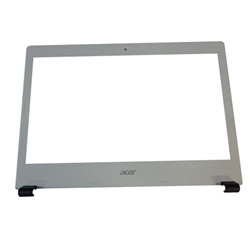 New Acer Aspire E5-422 E5-432 E5-473 E5-474 Laptop White Lcd Front Bezel 14"
Home → Laptop Case Parts → Acer Aspire E5-422 E5-432 E5-473 E5-474 White Lcd Front Bezel 14"
Acer Aspire E5-422 E5-432 E5-473 E5-474 White Lcd Front Bezel 14"
Description: New Acer laptop lcd front bezel 14". This original part is white with black hinge cover caps. This may be the part you need to replace your cracked or broken lcd bezel. Acer Aspire E5-422, E5-422G, E5-432, E5-432G, E5-473, E5-473G, E5-473T, E5-473TG, E5-474, E5-474G.